Just got through this course. I was having a hard time with the video quality. It was pretty fuzzy/blurred when watching the Powershell activities. Networking with Windows Server 2016 is the 2nd course in the MCSA certification for Windows Server 2016. This Microsoft course will teach you about the networking features available in Windows Server 2016. It covers the essential networking skills required to design, deploy, configure and support Windows Server 2016 in most organizations. It elaborates on the TCP/IP fundamentals, remote access technologies, and more advanced content including Software Defined Networking. Candidates should preferably have some familiarity with the terms DNS, DHCP, and IPAM, as well as the concept of remote access solutions such as VPN and RADIUS. The candidates should also have know-how about the tasks related to the networking features and functionalities available in Windows Server 2016. Candidates for this course are required to have experience of performing network-related tasks in their jobs. Employers are paying people with the knowledge covered in this course a median salary of $85,000 per year. This course teaches IT Pros how to deploy and configure Active Directory Domain Services (AD DS) in a distributed environment, how to implement Group Policy, how to perform backup and restore, and how to monitor and troubleshoot Active Directory–related issues with Windows Server 2016. This 70-742 is focused primarily on the identity functionality in Windows Server 2016 course. This path focuses on installation and configuration of Active Directory Domain Services (AS DS) in Windows Server 2016. It also covers Group Policy implementation, Active Directory Certificate Services (AD CS), Active Directory Federation Services (AD FS), and Web Application proxy implementation. The course curriculum is designed keeping in view the exam topics covered in the Microsoft exam 70-742. In this way, this course is equally helpful for IT professionals looking to gain their knowledge as well as the candidates willing to appear in the said exam. Light PowerShell experience is also recommended, but not required. Group Policy implementation for non-Nano Server environments. Functionality such as Active Directory Certificate Services (AD CS), Active Directory Federations Services (AD FS). Creating and managing group policy. This course is specifically for participants to gain the knowledge and skills for making the appropriate job role decisions around installing and configuring Windows Server 2012 R2. Very Basic.. Does not show commands or logic for the use of various commands in different scenarios.. Kinda waste of time ..
videos are not in the correct order. This course is specifically for participants to gain the knowledge and skills for making the appropriate job role decisions around administering Windows Server 2012 - R2. This course is specifically for participants to gain the knowledge and skills for making the appropriate job role decisions around configuring advanced Windows Server 2012 R2 services. The Microsoft 70-412: Configuring Advanced Windows Server 2012 Services R2 course covers in detail the advanced networking services, Active Directory Domain Services (AD DS), identity management, rights management, Federated services, network load balancing, failover clustering, business continuity, and disaster recovery in purview of a Windows Server 2012 infrastructure. This course is designed for Information Technology (IT) professionals, who have Windows Server 2012 operating system knowledge and experience and want to validate the skills and knowledge necessary to configure advanced services in a Windows Server 2012 infrastructure. This course is part three of a series of courses which validate the advanced configuring tasks necessary to deploy, manage and maintain a Windows Server 2012 infrastructure, such as fault tolerance, certificate services, and identity federation. This course, along with the others in this series, will validate the skills and knowledge necessary for implementing, managing, maintaining and provisioning services and infrastructure in a Windows Server 2012 environment. This new and exciting Server 2012 Infrastructure course provides full coverage of the knowledge and skills required to plan, design and deploy a physical and logical Server 2012 with AD DS infrastructure. The 70-413 Designing and Implementing a Server Infrastructure is part one of a series of two exams to test the skills and knowledge necessary to design, implement, and maintain a Windows Server 2012 infrastructure in an enterprise environment. 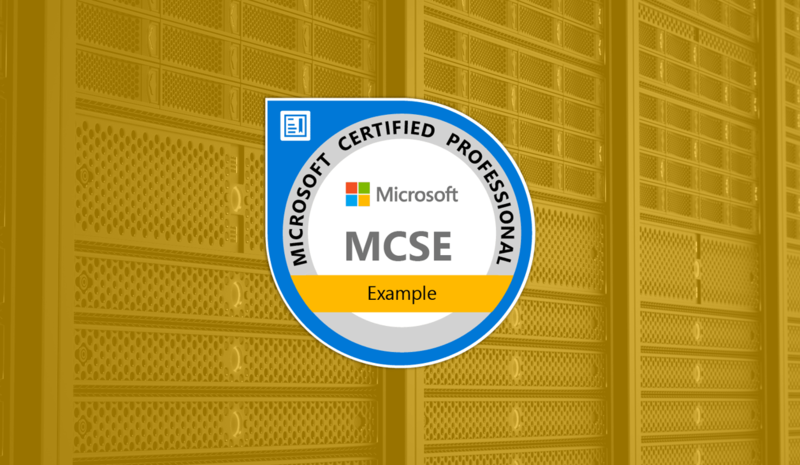 Successfully completing this exam along with the other exam will validate that learners have the skills and knowledge necessary for designing, deploying, and maintaining infrastructure services in a Windows Server 2012 environment. The course will enhance your IT skills and improve your knowledge. It will provide you with the best opportunity to get hands-on experience and be able to use your skills in a highly virtualized environment. This course brings together all the features of using Server 2012. This new and exciting Advanced Server 2012 course provides full coverage of the knowledge and skills required to plan and implement the more advanced features available in Server 2012. The Microsoft’s 70-414: Implementing an Advanced Server Infrastructure teaches the students to plan, design, and deploy physical and virtual Windows Server 2012 R2 enterprise environments. The students are able to acquire the knowledge and skills to plan and implement a highly available, secure and reliable Windows Server infrastructure with focus on Active Directory Federation Service (AD FS), public key infrastructure (PKI), and Active Directory Rights Management Services (AD RMS). The new and exciting Advanced Server 2012 course provides full coverage of the knowledge and skills required to plan and implement the more advanced features available in Server 2012. This new course provides you the needed training for the complete Implementing Advanced Server 2012 Infrastructure, as well as virtualization administration, server monitoring, failover clustering, update infrastructure, AD CS and more.